Makeup doesn't have to be a no-no, even if you have acne. While we all agree bare skin is great, there are times when you just want to cover up those breakouts. Wearing makeup can have its benefits too, such as an increase in self-esteem and self-confidence. With some smart choices, you can have acne and wear makeup -- without worrying about your skin. These are oil-free, noncomedogenic, or nonacnegenic. Products with these attributes are less likely to contribute to acne breakouts. Don't worry about brand names. Whether the makeup is a luxurious department store kind or a drug store bargain, oil-free and noncomedogenic brands are the way to go for acne-prone skin. You may also like medicated makeup products. These contain acne-fighting ingredients, such as salicylic acid, which can help fight blemishes. They can, however, contribute to dry, irritated skin, especially if you are using other acne treatments. Before you go shopping, know what qualities you're looking for in a makeup. Do you want a fairly light product that will take the edge off redness and even out tone? Go for cream-to-powder finishes, mousse foundations, or mineral makeup. 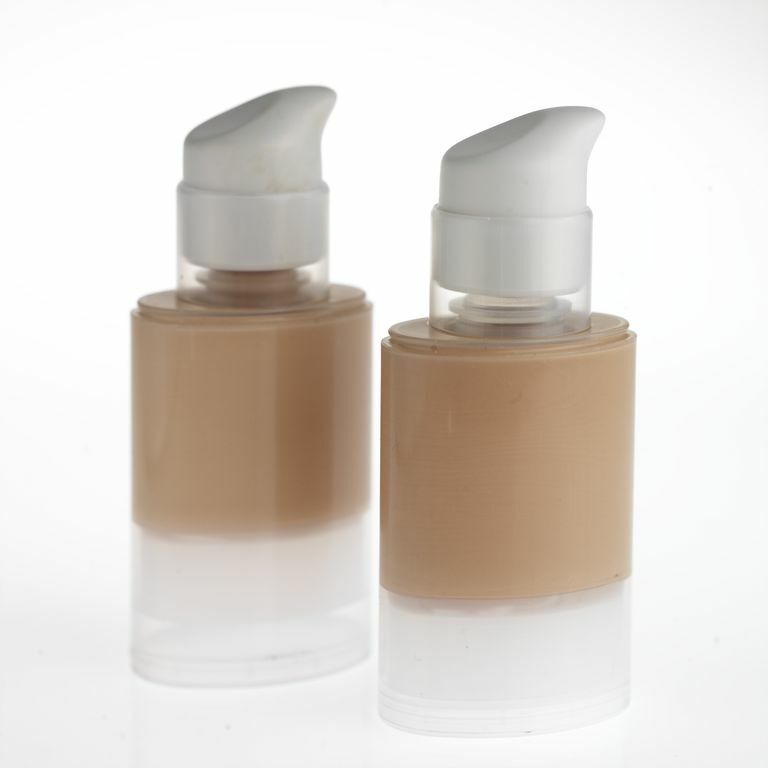 Liquid foundations and creams feel a bit heavier, but they give you much more coverage. They're the best at hiding stubborn breakouts, hyperpigmentation, and other skin discolorations. Loose or pressed powders won't completely conceal pimples and redness but can reduce oily shine and smooth out skin texture while giving you that "barely there" feel. Not really into makeup? Try a tinted moisturizer instead. You'll get a little coverage and even out your skin tone without much fuss. Top with a loose powder for a quick and easy finishing touch. Just make sure you pick an oil-free and noncomedogenic moisturizer. To keep your makeup looking natural, picking the right color is crucial. First, narrow your choices down to three or four shades closest to your skin tone. Test each one on your jawline, not the back of your hand. The perfect color will look like it disappears into your skin. Take into consideration the lighting, too. What looks like the perfect color indoors may be wrong in the sunlight. Test your makeup color outdoors also, to avoid the dreaded "makeup mask." Oily-skinned folks beware: Sebum on your face can cause makeup to darken. Check the color again after wearing for an hour or so. Don't forget the green concealer! It's a must for anyone who gets angry red breakouts. Green concealer helps cover redness from pimples, rosacea, or a ruddy complexion. Apply it sparingly before concealer and/or foundation and you'll need less makeup overall. You might want to visit the makeup counter at a department store, salon or day spa. You'll be able to try out several brands before committing to purchase. Some may even offer samples you can try at home. Remember, you must cleanse off your makeup every night. Never go to bed without washing your face!